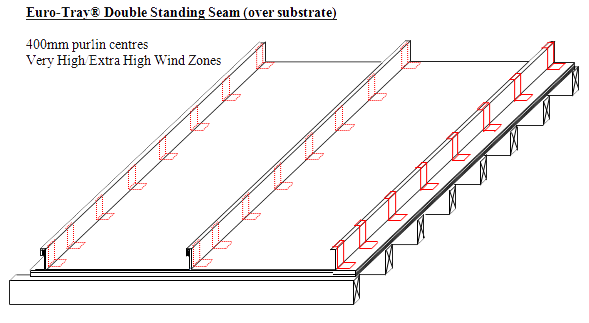 Eurotray® Double Standing Seam roof cladding must always be installed over a plywood (12mm minimum) substrate with a moisture content of less than 18% and made wind tight, with purlin supports underneath at 600mm centres in low to high wind zones and 400mm centres for very high and extra high wind zones. 8g x 40mm countersunk stainless steel screws at 150mm centres around the panel edged and 200mm centres on the intermediate supports. The fasteners should be no closer than 10mm to the edge. 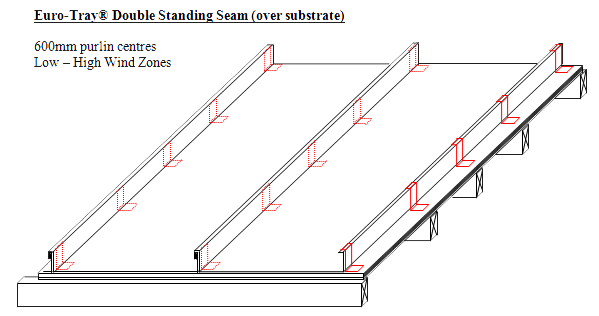 A 3mm expansion gap should be provided between the sheets. All joints should be staggered and taped over before placing underlay, Dimond Roofing recommend the use of vented type underlay such as tyvek metal or Covertek 407. Avoid Bituminous underlays in contact with Zinc. This allows added air-flow between the underside of the tray and substrate, it also helps to reduce oil-canning in the tray. 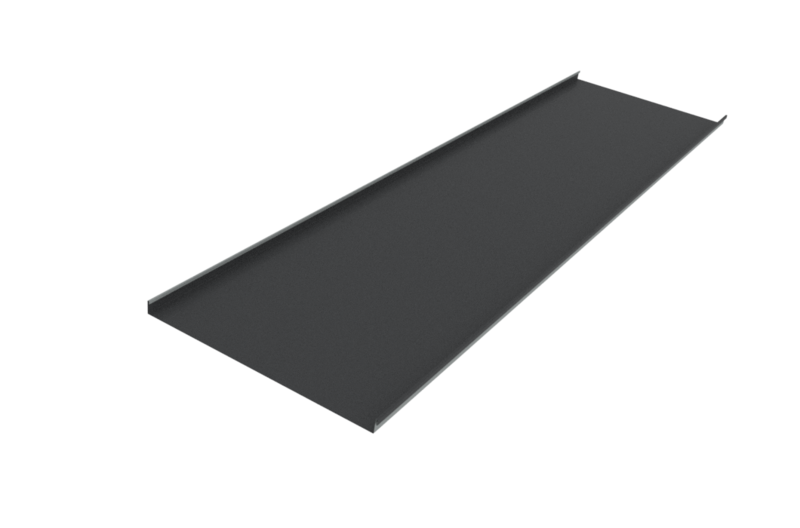 Minimum pitch for Euro-Tray® Double Standing Seam is 3 degrees.